Barrett-Jackson, The World’s Greatest Collector Car Auctions, raised close to $1 million for local and national charities during its Palm Beach auction April 17-19, 2015, at the South Florida Fairgrounds. Watch a video of Hulk Hogan at the event here. 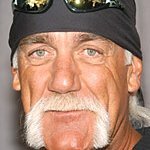 WWE Hall of Fame member Hulk Hogan is one of the most popular wrestlers of all time. He is a 12-time world champion, being a six-time WWF/E (World Heavyweight) Champion and six-time WCW World Heavyweight Champion. Other well known personalities in attendance during the Palm Beach auction included world-renowned car collectors, Jeanette and John Staluppi. Their car collection is maintained in the Cars of Dreams Museum located in Palm Beach County, Florida. American rapper, actor and television host Vanilla Ice attended Friday night’s opening gala.